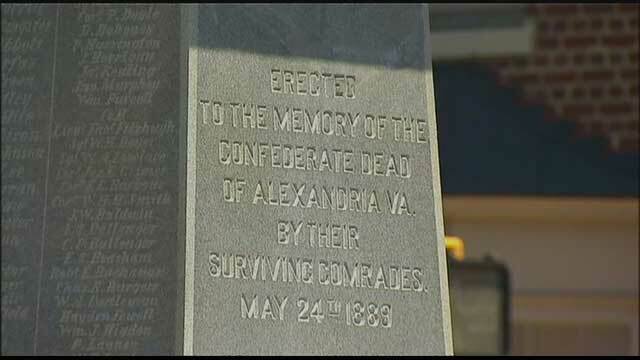 so the criteria for you to accept a monument is that the person in question must have repented on his racists thoughts before death? is that about right? I wonder, is that just your feelings, or is that SJW wide? No, my criteria to accept a monument is for the person in question not to have been a public champion of the slave society. this is what is written on that particular monument. Just to be sure we are talking about the same thing here. The justification to rewrite history is astounding. People wonder how it could ever happen. I submit this thread as proof. Yes it is. If he hadn't done it, he would have been just another southern politician. How many southern politicians from that time do you remember and why do you remember them? I think Washington was a hero for all the things he did, but to ignore the fact that he owned slaves is disingenuous. Of the 317 slaves living at Mount Vernon in 1799, a little less than half (123 individuals) were owned by George Washington himself. Another 153 slaves at Mount Vernon in 1799 were dower slaves from the Custis estate. When Martha Washington's first husband, Daniel Parke Custis, died without a will in 1757, she received a life interest in one-third of his estate, including the slaves. Right. Slavery didn't happen, and if it did, it was because blacks deserved it or were too stupid to know how to do anything else. I keep forgetting. Thanks for reminding me. Im not christian, and have lived in the national stronghold of Southern Baptists my entire life. Even with some of my less than savory experiences, I can see the prejudice in that comment about southern baptists. You can't pick and choose your prejudices when you are so vocal about the subject. If you stand against prejudice and bigotry, then you stand against it. If not, then you don't. No harm/foul either way....but truth is still truth.